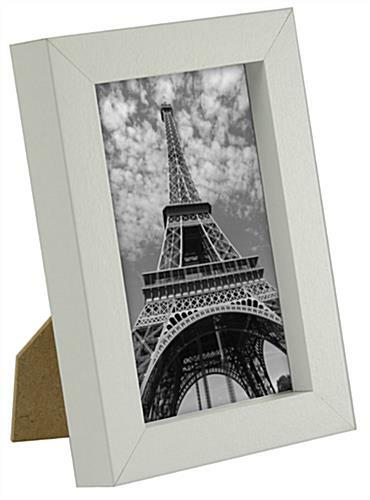 These white picture frames have a 1" thick edge enclosure for a boxy look that will complement any 4x6 photograph or image. 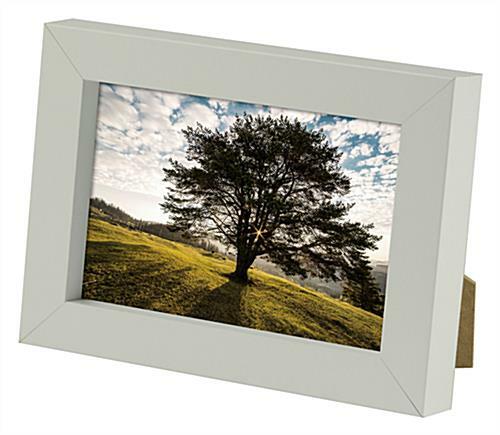 The neutral color and modern take on traditional styling make this photo holder a great choice for home, business or professional displays. 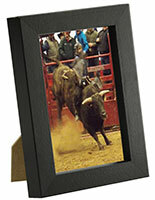 Arts style picture frames like these countertop easel-backed fixtures are perfectly suited to showcasing snapshots, advertisements, marketing messages or even menu items. 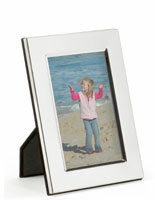 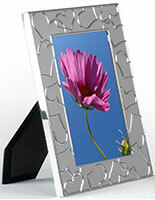 A sturdy plastic front lens protects the photo holder's contents from dust or damage while in use. 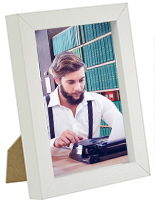 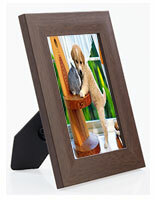 These neutral finish picture frames are an economical way to create stylish displays of photography, arts or illustrations, messaging or ads in any environment. 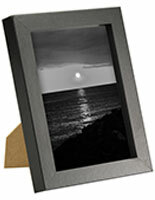 5.1" x 7.1" x 1.0"
I would definitely buy these again! 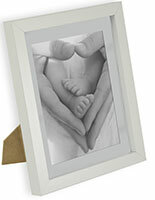 They are perfect for all my little Christmas gifts for my clients!